America’s Second-Largest Teachers Union Is Trying Not to Make 2016’s MistakeThe American Federation of Teachers has rolled out its endorsement process for candidates, and says that it’s prepared to hold Democrats to account. An Inheritance Tax Is Democrats’ Best Weapon Against Trump’s OligarchyA popular plan that gives Democrats a way to frame Trump’s economic privilege. Cory Booker Admits He Has a ‘Boo’But he will not say who it is. The Democrats’ Irrational Love of the Filibuster Could Doom Their AgendaThe Senate’s supermajority requirement for all legislation is a gift to conservatism. And progressives are promising to maintain it forever. Potential 2020 Candidates Continue to Play Coy“I’m thinking about it,” said everyone. Eventually, Progressive Democrats Will Need to Get ‘Soft’ on DefenseAmerica can have a Western European–style welfare state or a giant and ever-growing military budget — but it can’t have both. Cory Booker Wants to Give You a Hug, and Be Your Next PresidentHe’s ready to run the most optimistic, earnest, emotionally present campaign in history — and is betting that’s what Trump’s America is ready for. Democrats Take ‘Civil Disobedience’ Stance in Leaking Kavanaugh DocumentsIn an escalation of protests over a rushed procedure with concealment of documents, Democrats start leaking them and Republicans threaten retaliation. As Kavanaugh Tried to Focus on Legal Abstractions, Real World Kept IntrudingOn day two of the Kavanaugh hearings, Democrats chipped away at the Supreme Court nominee’s attempt to put forth a regular-guy persona. Where Do ‘Centrist’ Democrats Turn in 2020?Joe Biden is the obvious favorite for those who aren’t crazy about the progressive drift of the party. But if he doesn’t run, then what? Democrats Are Rushing Into a Job Guarantee. It Could Be a Huge Mistake.The hottest new progressive policy idea is not ready for prime time. 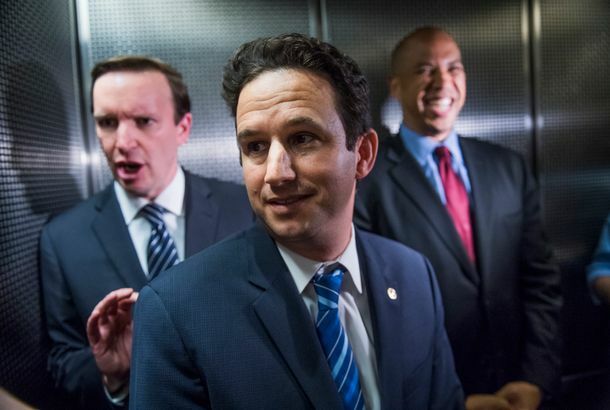 Gillibrand and Booker Swear Off Corporate CashThe rumored 2020 candidates join Bernie Sanders, Elizabeth Warren, and Maria Cantwell in refusing donations from corporate PACs. 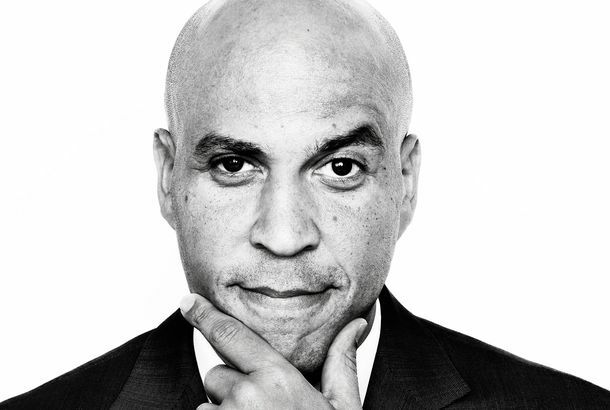 Senator Cory Booker Dabbles in Instagram PoetryA good fallback gig. Government to Reopen After Senate Democrats Back DownDems can still prevail in the larger battle over immigration policy — but ending the shutdown Monday definitely wasn’t a victory. There’s a Long List of Dems Trump Should Fear in 2020. Biden Isn’t One of Them.The White House supposedly has no fear of any potential 2020 opponent other than Joe Biden. It needs to fear its president’s own limitations. 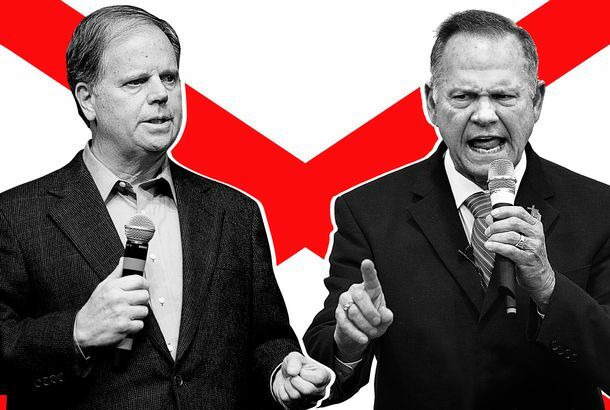 Turnout Will Win It for Moore or Jones, But GOP Will Have a Headache Either WayIn a strange campaign where the front-runner disappeared and the polls are all over the place, turnout patterns will matter most. 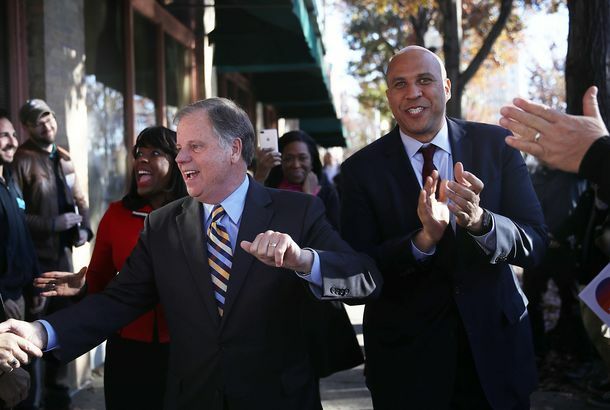 Cory Booker Campaigns for Alabama’s Doug Jones — and Maybe Himself in 2020If the New Jersey senator is successful, he’ll have helped defeat Roy Moore. If not, he got a chance to test out his stump speech. First N.H. Poll for 2020 Shows Trump Looking VulnerableIn a way-early 2020 N.H. primary poll, nobody’s challenging Sanders and Biden among Democrats, and Trump looks potentially vulnerable to a challenge. Confederates in the CapitolDuring the Jim Crow era, southern states sought recognition in the Capitol for ex-Confederates and other proud racists. That may finally be corrected. This New Bill Seeks to Reform the Way Women Are Treated in PrisonIt mandates that women prisoners be given pads and tampons and extends visiting hours with their children. Watch Senator Cory Booker’s Emotional Speech Condemning the Health-Care BillA Facebook Live session turned into a spontaneous rally on the Capitol steps against the Senate’s health-care bill. Did Cory Booker and Mindy Kaling Just Set Up a Real-Life Date Over Twitter?This romantic comedy is writing itself. The Socialist Takeover of the Democratic Party Is Proceeding NicelyCentrist Democrats used to distance themselves from the left ahead of their presidential runs. Now, Booker and Cuomo are doing the opposite. Cory Booker Is Releasing a Book a Month Before the First PrimaryJust in case someone’s in the market for a vice-president.